Our club is located in Phoenix, AZ. We are dedicated to S-scale model railroading. We meet once a month on the first Saturday of the month at a members' home. The club is informal and we welcome American Flyer, and hi-rail, S-Gauge operators and collectors. Free membership and no dues. 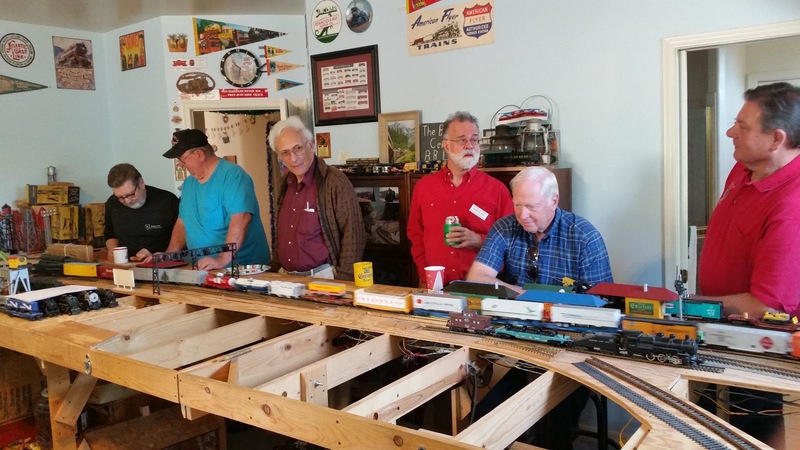 Our club is all about fellowship, and joining in and having fun operating model trains on the host members model railroad layout. Discussion is open to anyone attending our meeting. Spouses are welcome to join in the fun in the roundhouse, while we are in the train room. Note: E-mail invitations will be sent out to all active members and visiting members. If you would like to attending one of our meetings or events in your area, and did not get an invitation. 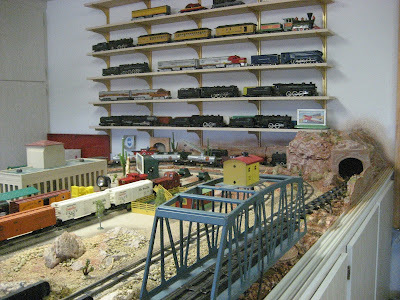 Our club does except donations of model trains and accessories. We are always happy to restore old trains, to give them new life for years to come. We have over 30 members in our club that help with this program of finding young boys and girls that would like to enjoy the "Wonderful World of Model Trains".